This winter has been tough, to say the least. But despite the tough temps its beauty has shown through. 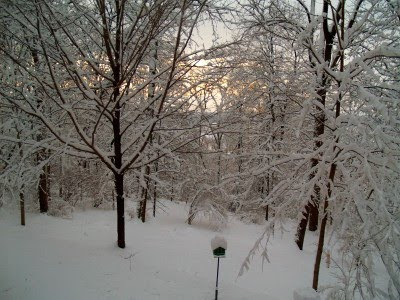 A hint of pink as the sun rises in the distance through our snow covered woods. This is the view out our back windows. Bebe liked it a lot. But really got a kick out of sledding (or should I say tubing) down the big hill nearby. Today I'm linking with Pink Saturday. 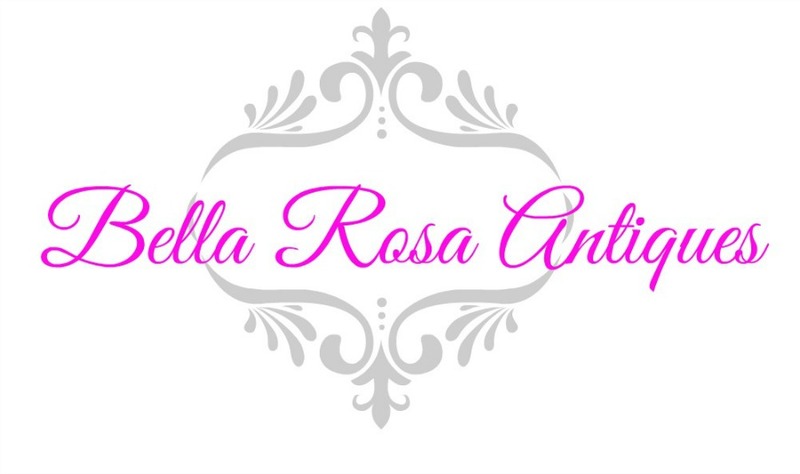 Join the fun and check out more pink posts here! Gorgeous photos! I think I would have a hard time leaving the window if I had a view like that! Happy Pink Saturday! 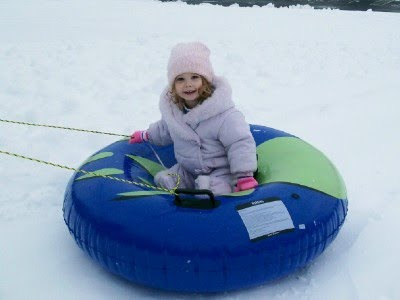 Little Bebe looks absolutely adorable as she enjoys her tube ride!!! You have such a wonderful view from your windows!! 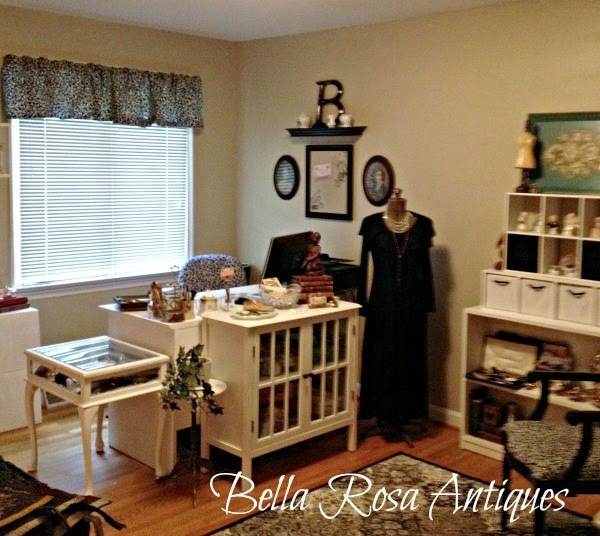 I see you sold several of your vintage items!!! Good for you. I hope to go "junkin" today. I have been indoors all week because of the Blizzard.....I've got a major case of Cabin Fever!! Beautiful picture of the snow! Tubing looks like a blast! I'm ready to feature your blog next week. You're next on the list. Will be in touch! Looks like all of you made the best of this snow situation. 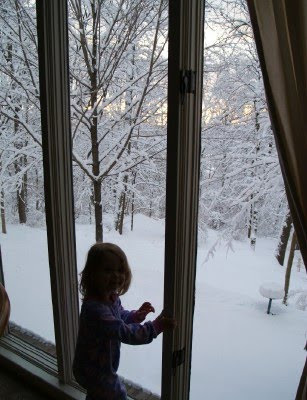 How darling is that Tubein' Cutie, and your snow photos are beautiful with their touch of PINK! Thanks for visiting CITexas Gal...Happy Pink Saturday. What a little cutie! She's enjoying the snow! Look at Bebe's teeth! So sweet! And too soon they fall out! Those baby teeth are so precious! Beautiful! ...the scenery and Bebe! Children are just so special!